Come and experience Genome-Stem Cell Healing you will notice and feel results immediately. Be quick and book your session today! This powerful process provides deep healing on all levels of your body mind and spirit. A must to experience! Blueprint Healing is a very unique and profound form of healing. Transformational Genome healing combines with cutting edge technologies to facilitate immediate and regenerative healing for the body, organs, your body's immune or digestive system, your beliefs and behaviours - you can transform everything -there are no limitations to this process. 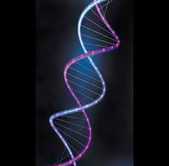 Hence we are activating the biological information to imprint to a new DNA blueprint and energy. Who is Genome Healing ideally suited for? Everyone who has physical aches or pains, stubborn pains in your back or joints, perhaps a dysfunctional part which requires healing? It could be your organs, immune system, your stomach, digestive system, muscles, cells, meridian system, or even your heart, maybe your thoughts or behaviours need transforming or healing? The Genome Healing experience is suited to anyone who wants to heal any dysfunction in their body and/or mind. You can transform any part of your body, organs, muscles, thoughts, everything there is no limitation. As part of a Program (Be Your Own Doctor ~ Heal Yourself) I recommend you attend 1 or 2 healing sessions and then book your Learn to Heal Workshop and I will teach you the Healing process and technologies to use on yourself to heal any symptoms, aches, pains, organs etc (you will have understood the concepts after experiencing this amazing process after attending for your first 1-2 sessions). At the Workshop you will learn the foundational blueprint technologies of healing for all levels of your body, system, organs, spine and more.